Have a wonderful holiday, folks! We're off until the New Year. Hope your holiday is filled with fabulous adventures in the great outdoors! The girls and I are hiking the 500-mile Camino Frances route of the Camino de Santiago in March and April 2013. We're hiking to raise money and awareness for the nonprofit, female-empowering organizations GirlVentures and Global Fund for Women. Visit GIRLS ON THE WAY for details. To prepare for our upcoming adventure, the girls and I are doing what we always do...we're hiking New Hampshire mountains every week. The White Mountains serve as excellent training grounds. All trip reports will hence be posted on our Camino-oriented site until we return from Spain in late April/early May 2013. Here's the link for our specific Doublehead, Squam, and Percival trip report. We are walking across Spain in March and April 2013 to raise money for GirlVentures and Global Fund for Women. Visit our new site, GIRLS ON THE WAY, to learn more about our upcoming adventure and how you can contribute. Both girls now constantly draw landscapes, scenes, and portraits. Therefore, for this week's Thursday Thing, I'll update our progress for item #1: Draw or paint a landscape. Alex is still working on this one. She began it on 12-7-12. Both girls take lessons from the talented local artist Nancy Griswold. Check out her site -- her work is outstanding. The girls and I hiked Galehead last Thursday; Alex wants to finish the Trailwrights 72 list, so I suspect we'll tackle a few of her remaining peaks before we leave. When we return from the Camino, she wants to complete the TW72 -- she also wants to hike the NH48 again, this time within a single season. Sage wants to finish the 52WAV and both girls want to finish the Terrifying 25. Methinks there isn't going to be enough time during the summer and fall of 2013 to do absolutely everything Alex and Sage want to do, but we'll see what happens. I posted a pictorial trip report of last Thursday's Galehead hike here. From now until we return from Spain, most, if not all, of our trip reports will be posted at GIRLS ON THE WAY. The peak of Galehead from Galehead Hut (closed for the season). The girls and I are hiking 500 miles for Global Fund for Women and GirlVentures -- visit GIRLS ON THE WAY for details (click here). Friends have been telling us about The Rocks Estate in Bethlehem, NH for years. The Rocks is a tree farm; a visitor can choose and cut down his/her own evergreen. All the trees are the same price ($44 this year), and the employees will bind the tree to your car while you visit the gift shops. This year, we finally drove over to check out the place for ourselves. While we were there, we accomplished Thing #37 -- Cut down our own Christmas tree. The girls were excited; they took off running as soon as we got out of the car. It didn't take us long to find the perfect tree. Alex and Sage took turns using the saw. A kind employee took our cut tree and bound it to our car. We made it home without a hitch. This was our first time cutting down our own tree. Though I loved The Rocks, I'm not sure we'll do it again. I'm a bit of a bleeding heart and I don't like the thought of taking down a perfectly good tree. Of course, the trees at a tree farm are grown for the sole purpose of someone coming along and cutting them down, but still... I can't shake that guilty feeling. Silly of me, I know. That being said, our tree looks great and the girls had a wonderful time harvesting it. The girls and I hiked Galehead (again) this morning -- the day was sunny, cold, and clear. I'll post a video trip report on Tuesday. Just a reminder that we've a separate website for our upcoming 500-mile Camino de Santiago adventure. The site is called GIRLS ON THE WAY. We leave for Spain in March 2013, so for the next few months, GIRLS ON THE WAY will contain posts regarding our preparation, training hikes, gear choices, and fundraising efforts (we hike for GirlVentures and Global Fund for Women). Once we're on the Camino, I'll update the blog as often as I'm able. I hope to have a webcam that will enable viewers to see what we're hiking live, in real time. I'm not yet 100% certain about the possibilities of the webcam, though...so cross your fingers and stay tuned for details. I completed a simple yet supremely satisfying Thing yesterday. I finally fixed the face of our cabinet. Exciting, right? Actually, it was, in a way. That cabinet had been broken since last year, which was frustrating because it had just been installed a few months prior to it breaking. I didn't bother asking the contractors to replace it. The contractors had already caused $20,000 in water and black "toxic" mold damage to my house by installing a new roof improperly. At first they admitted fault -- in writing -- and then they said never mind and walked away without fixing anything. Thank God for Allstate. They took care of everything -- they paid for the clean-up of the mold and the replacement of everything that had been damaged. They also said they would sue the contractors, since the contractors had admitted fault. Allstate really came to the rescue. And no, I'm not being paid by them to say that. I'm just genuinely grateful. The only issue that remained, for the longest time, was that cabinet drawer. You know how you can keep putting something off, and putting something off, until life seems normal with everything just as it is? That's what happened with the cabinet. I no longer noticed the broken face, it was just part of the normal kitchen scenery. Yesterday, however, I finally fixed it with superglue and a bunch of nails. It looks fine and I think it's pretty solid. I did manage to temporarily superglue my finger to the side of the drawer, but besides that little mishap, all went well. Sometimes the little things in life can make or break your day. This might sound odd, but I was quite happy with myself for finally fixing that thing. Today, instead of posting the usual Tuesday Trip Report, I'm asking you to visit our Camino blog, GIRLS ON THE WAY. In March and April of 2013, the girls and I will walk the 500-mile Camino Frances route of the Camino de Santiago (Spain). We're hoping our walk raises awareness and money for two important female-empowering organizations, Global Fund for Women and GirlVentures. Since we're hiking 500 miles, we're asking folks to give 500 cents to either charity. You can donate here. If everyone who visits this blog donates 500 cents ($5.00) to one or both of these nonprofit organizations, then we'll reach our fundraising goal faster than you can say "Father Christmas." Thanks for your support. We'll be back on Thursday with our weekly Thing update. The girls and I are hiking the 500-mile Camino do Santiago in spring 2013 to raise money for Global Fund for Women and GirlVentures. Donate to one or both of these fantastic organizations and read about our upcoming adventures here. We managed to kind of complete Thursday Thing # 84 -- Use up all the art supplies in the house. Meaning, yesterday I realized that all the old glitter, glue sticks, fringe, and ancient markers were finally gone. This doesn't mean we no longer have art supplies, of course -- neither Alex nor Sage could last a day without their pens, pencils, paints, and markers. I don't want a house without such supplies, since the creation of art is an integral part of my daughters' everyday lives. I am thrilled, however, that the four-year-old paste and 2004 ink stamps no longer occupy space in my cabinets. Last week, we watched Curse of the Cat People (1944), which ranks 98 on Rotten Tomatoes' Top 100 Kids & Family Movies. Don't judge the movie by its poster; the image above is misleading. ﻿This poster should be for the movie's prequel, the 1942 Cat People, which has the same cast but a very different storyline. In Cat People, the main character, beautiful Irena, suspects she's a descendant of witch-like ancestors who turn themselves into panthers whenever emotionally aroused. Poor Irena falls in love, only to never be able to express emotion or act on her passions. Eventually, life happens, and Irena becomes jealous and angry...her literal claws come out and a person gets killed. Though the premise is dark, both my kids enjoyed this movie because the storyline was interesting, the violence is mainly off-screen, and the special effects are mediocre at best and therefore not frightening (at one point, there's an obvious stuffed animal standing in for a panther). That being said, parents should prescreen this one and judge for themselves whether or not it's appropriate for their children. Curse of the Cat People (the "family movie") has the same cast, but the plot is completely different. It's set seven or eight years after the events of Cat People, and it centers around the child of Irena's former husband. This child, six-year-old Amy, is a sweet, introverted girl whose imaginative play is the subject of her father's concern. Amy acquires an "invisible friend" (there's more to it, but I don't want to give away the plot...read here for spoilers) and her father struggles to accept Amy's nature and innocent ways. This is a lovely family movie that encourages parents to have faith in their children and accept them for who they are. That being said, there are a few creepy moments, so the movie might be too much for very young or sensitive viewers. No Friday Wrap tomorrow. I've been hiking, homeschooling, and writing; in other words, it's been business-as-usual. I do have a few new irons in the fire, but I'm not ready to announce anything just yet. The girls and I are hiking the 500-mile Camino de Santiago in spring 2013 to raise money for girls and women around the world. Click here to learn more. Starr King Trail, 7.2 miles roundtrip, 2650 feet of elevation gain. Last Sunday, we had the honor of accompanying Dan and Janelle (aka Buffalo and Tough Cookie) on their final 52 With a View hike. Dan's writing a book about their journeys -- it's called The Adventures of Buffalo and Tough Cookie and will be published by Bondclifff Books in May 2013. Alex, Sage, and I carried fully loaded "Camino packs." This was our first time carrying everything we'll need on the Camino up and over a Four Thousand Footer. Starr King trail never gets very steep, and, even in the snow and slush, it's a fairly easy 4K. Our hike was made a bit challenging, however, by the mischievous trees, who kept dumping their accumulated snow on our heads as we made our way up the mountain. I eventually insisted the girls wear their waterproof shells. As we neared Starr King's summit, Dan and Janelle moved to the back of the line and Alex and Sage forged ahead. The girls and I wanted to reach the peak ahead of our friends so we could create an archway with the hiking poles. Folks approaching their last summit are supposed to walk under everyone else's poles -- it's hiker tradition. Dan and Janelle finish the 52 With a View! We hung about for a bit, congratulated Dan and Janelle, and ate some snacks. There were no views, as a lazy Cloud sat in front of the Presidential Range and refused to move. No matter, everyone was having a blast. Good times, good company. Mt. Waumbek's summit is only a mile away from Starr King's, and the path is mellow and easy. Therefore, Janelle decided she wanted to go ahead and tag her first 4K. Off we went. The summit of Mt. Waumbek! Here's Janelle, Sage, Alex, and my camera strap (sorry). This was Sage's second time and Alex's third time on Waumbek. Alex is now a bit more than halfway through her third round of the 4Ks. Views from just beyond the summit. We hung about, ate some more snacks, and headed back to Starr King. When we returned to Starr King's summit, we found, to our delight, an absence of lazy Cloud. The ancient chimney is crumbling; part of it fell and landed on Sage's leg (she's fine). After some more eating and photo-taking, we headed down the mountain. Congratulations once again, Dan and Janelle! We look forward to reading your book! I am so grateful for the many people who have enthusiastically come forward and donated prizes for our raffle! Sandra, the lovely owner of the Henry Whipple House Bed & Breakfast in Bristol, responded within two minutes of my request for donations. She's offering a one-night stay for two at her beautiful bed-and-breakfast; that's a prize worth over $160! The Mt. Washington Observatory has also offered a valuable gift -- two, actually -- I now have two family memberships to raffle away, each worth $75. Steve Smith from the Mountain Wanderer Map and Bookstore donated a $25 gift certificate. Others have also responded, including one NH fellow who's contributing the grand prize out of his own pocket -- $500 cash! Folks continue to contact me with offers of raffle prizes, and I am extremely grateful to each and every one of them. To our supportive and generous friends -- THANK YOU. We could not run this raffle without you!! So -- I've got great prizes to offer, and since all the money is going to charity, I should have no problems selling tickets, right? Well, that depends. Federal and state laws must be obeyed. Raffles are, after all, games of chance. In other words, if the ticket costs money and there are prizes involved, then the raffle is considered a form of gambling. And if it's gambling, as most raffles truly are, then the laws are tricky. One needs to be extremely careful if one doesn't want to end up in the slammer. Learn from my experiences -- if you want to run a raffle for charity and you live within the state of New Hampshire, then read the following...and then check with your lawyer and/or the Department of Justice before you proceed. Please note that I am not a lawyer and this post is not the equivalent of legal advice. I'm just a woman describing my own experiences. YOU should consult a lawyer. First, you need a permit. For me, this wasn't an issue. I filled out an application and included a full explanation of my purpose and intent, and my permit was issued without any complications by my local Board of Selectmen. Next, you need the tickets themselves -- and you need to follow the state law in regard to the appearance of those tickets. New Hampshire state law dictates that each ticket must have specific information printed on it (date of drawing, main prize, etc.). Of course, ordering tickets that comply with state law isn't a problem -- it's easy enough to find a company that will make and ship custom raffle tickets. Once you have the permit, the prizes, and the actual tickets, then you're ready to roll, right? Well...kind of. Once you have the above, then you can go ahead and sell your tickets in person. Problems could arise, however, if you try to sell tickets over the internet or through the mail. Is it possible to sell tickets online? Maybe. Different states have different laws, and these laws are in flux. As of right now, November 12, 2012 at 6:37pm, I'm not sure where New Hampshire stands. I've spoken to three different lawyers and been told two different things. My plan is to call the NH Department of Justice tomorrow morning and ask their advice. EDIT: NH Department of Justice told me they can't advise when it comes to federal laws. The US Department of Justice said online sales could be tricky...interstate regulations apply. I therefore decided not to allow online sales. You might do a quick search on the internet and find folks/organizations who are selling tickets online...but that doesn't mean they're following the law. If you plan on running a raffle, then be sure to investigate this matter thoroughly with your lawyer(s) and your state's Department of Justice. Even if you can sell tickets online, you can't mail the tickets to anyone. Mailing raffle tickets is against federal law. Again, if you look online, you'll see examples of folks mailing raffle tickets anyway...but that doesn't mean it's legal. Can you sell tickets to people who live out-of-state? This is another gray area. Check with your local and state laws. I don't think I'm allowed to, for my particular raffle, but I hope to find out once and for all when I call the Department of Justice tomorrow. However, regardless of my own situation, you should check with your own lawyer. There are no nationwide standards when it comes to...well...anything regarding the sale of raffle tickets. EDIT: The folks at the US Department of Justice said it would be fine for me to sell tickets to out-of-state visitors to NH -- I just can't visit other states to sell tickets, and I can't mail anything having to do with the raffle. Organizing a raffle is a complicated affair. Would I do it again, all things considered? Yes, absolutely! In spite of the legal red tape, I'm having fun and I am so thankful for all the people/organizations who are offering such wonderful prizes. The Mt. Washington Observatory has agreed to have tickets available at the Weather Discovery Center in North Conway, and I have a few places on my schedule for personal ticket sales. By the end of the week, I should have at least half a dozen more stores/events that will host ticket sales...in other words, because of our friends, supporters, and wonderful local business owners, we should be able to sell a healthy number of tickets in person....and *maybe* we'll be able to sell online (stay tuned). So, in sum -- get a permit, get your tickets printed according to state law, and plan to sell the tickets in person and not online or by mail. And, of course, you should talk to your lawyer -- this post is no substitute for legal advice. Thanks again, friends and business owners, for supporting our cause and donating such wonderful prizes. New Hampshire folks, contact me at patriciaellisherr@post.harvard.edu if you're interested in the raffle. Or, show up at one of the locations listed in the "Raffle" post on our Girls on the Way site. Or, even better, visit the Weather Discovery Center in North Conway and pick up your tickets there! Come back tomorrow evening for a special trip report. Do you like money? Do you want to support girls and spread good karma? Then participate in our raffle (click here)! We're now able to check off Thursday Thing #45: Design our own t-shirts. We took some fabric paint to a few Fruit-of-the-Looms yesterday. This, of course, brings me to the Friday Wrap. On Monday evening, I was granted a permit to run a raffle within the state of New Hampshire. I've since spent my time gathering prizes and setting up a way for folks to get tickets online. We are so grateful for the generosity of the people at the Mt. Washington Observatory, the Henry Whipple House B&B, Moultonborough's Aubuchon Hardware, and the Mountain Wanderer Map and Book Store! Thanks to them and a few other individuals, we now have a thousand dollars worth of prizes! Now I need to sell these tickets! They only cost $1.00 each, so click here if you want to participate and have a chance at winning a very cool prize. 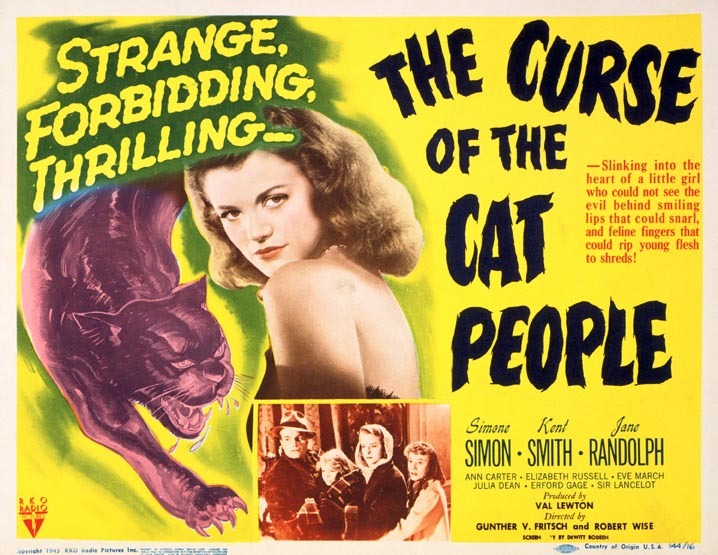 By the way, we did watch Curse of the Cat People (1944) last weekend. Great family movie -- seriously. The girls and I will give our full review next week. ...will be posted with the Friday Wrap. Check back tomorrow around 9pm. In the meantime, visit GIRLS ON THE WAY (our "Camino blog") and buy a raffle ticket (NH residents only). We're running a raffle as part of our GIRLS ON THE WAY fundraising efforts. The grand prize is $500 cash, so if you're a resident of New Hampshire and want a chance at winning some extra Christmas money, click here. I recently discovered a fascinating blog written by the intrepid female adventurer, Erin McKittrick. Erin's book, A Long Trek Home: 4000 Miles by Boot, Raft, and Ski (Mountaineers Books, 2009) chronicles Erin and Hig's journey from the Puget Sound to the Bering Sea. Journey on the Wild Coast, a full-length documentary of the same 4000 mile journey, was chosen as "Best in Fest" at the 2010 Anchorage International Film Festival. In spring 2013, while we're hiking across northern Spain, Erin, Hig, and their two preschool-age children will travel 800 miles around Alaska's Cook Inlet. Check out Erin's blog. Amazing family, amazing adventures. Great news! Your Camping Expert included our 2011 Katahdin blog entry as one of its "Top Ten Hiking With Kids Posts." We appreciate the honor and hope you'll visit Your Camping Expert to read the rest of the top ten! We are now "in training" for the Camino de Santiago (see our "Camino blog," GIRLS ON THE WAY). Our training plan for the 500-mile Camino hike is fairly straightforward. We'll do a "big" mountain hike (at least 10 miles) once a week, just like we always do (see our main blog for past hikes and trip reports). In addition, the girls will take turns going with me on "short" hikes (less than 10 miles) on Saturdays. The Saturday hikes will give me an opportunity to test new gear or routines with the girls. I'll be back tomorrow with a special shout-out to an intrepid female author/adventurer. In the meantime, if you haven't done so already, visit your local polling place and vote!! Great news -- Alex and Sage are featured in the November/December 2012 issue of New Moon Girls, the popular tween magazine. Look for them on page 19! The Boston Book Festival recently posted their 2012 audio files. I shared the stage with Deni Bechard and John Spooner for the "True Story: Personal Visions" session. Anthony Brooks moderated. It was a fascinating and fun-filled 45 minutes -- Deni Bechard had quite the interesting childhood with his bank-robber dad, and John Spooner gave excellent and entertaining advice on how to get a job in this horrible economy. I, of course, spoke about Up and how Alex's original quest for the NH48 changed the lives of me and my children. To listen to the entire session, click here and scroll down to TRUE STORY: PERSONAL VISION. GirlVentures sent me a video of my October 3 EMPOWER! Breakfast talk. That wraps up our week...kind of. There are a lot of fabulous things going on in terms of GIRLS ON THE WAY, but I'm not yet in a position to talk about them. Soon, very soon. In the meantime, please visit the site and donate to GirlVentures and/or Global Fund for Women in honor of GIRLS ON THE WAY. We are walking the 500-mile Camino de Santiago in March/April 2013 to raise money for women and girls around the world. Visit our new Camino website, GIRLS ON THE WAY, to learn more about our upcoming adventure and how you can donate to GirlVentures and Global Fund for Women. Okay, so that's not really on our 101 Things in 202 Thursdays list. It is what happened yesterday, though, and I have to say that it felt pretty good. Everyone should experience a day entirely devoted to chocolate. Carving pumpkins before the giant candy-fest. 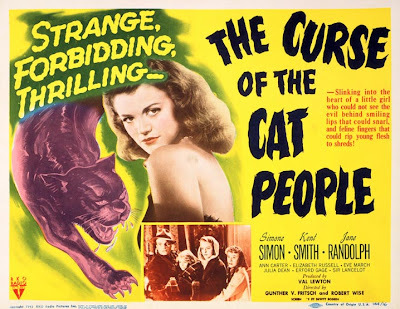 We were planning to watch Val Lewton's Curse of the Cat People (1944) which is, in all seriousness, included in Rotten Tomatoes' Top 100 Best Family Movies (#59 for Thursday Things). I had hoped to view the film with the girls this evening and relay our reactions online before tomorrow morning. Alas, somewhere between 5pm and now (10pm), yesterday's head cold blossomed into a full-blown, snotty mess of Sick. Hopefully, my body will heal itself a bit after a good night's sleep so the girls and I can hike in the morning. Even a small four- or five-mile mountain hike would do us a world of good. I'll be back tomorrow for a Friday Wrap.